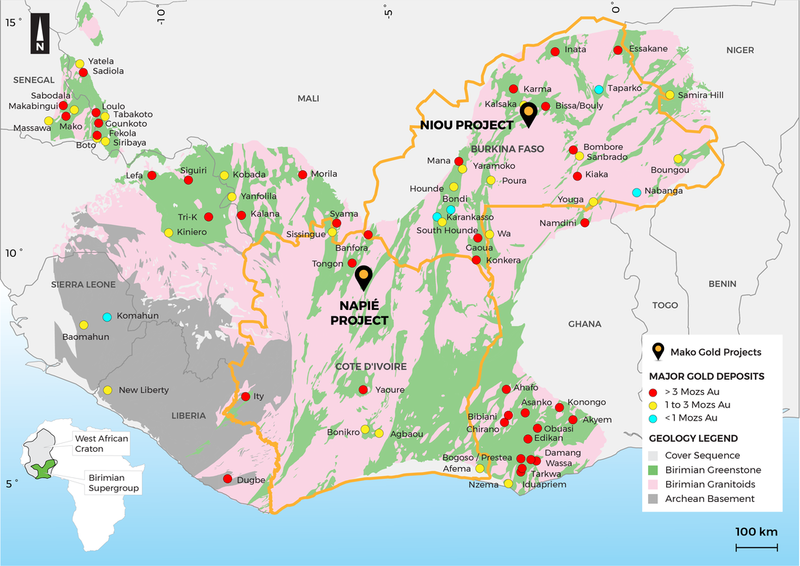 Mako has two highly prospective projects in West Africa – the Napie and the Niou Projects. The Napie Project is located in the north cental part of Cote d'Ivoire. The Niou Project is located in the central part of Burkina Faso.